The work of Jeannie Baker, a British-Australian children’s author and artist, is well known by Australian children. In a special exhibition at Casula Powerhouse this summer, collages from her award winning picture book, Belonging, will be on display for people of all ages to enjoy. Rsvp for the opening or for more info on public programs, click here. I just love the book Belonging by Jeannie Baker, and am really keen to go along to this exhibition of her collages – I might even try and get to a collage workshop! An alienating city street gradually becomes a place to call home. Little by little, baby Tracy grows. She and her neighbours begin to rescue their street. Together, children and adults plant grass and trees and bushes in the empty spaces. They paint murals over old graffiti. They stop the cars. Everything begins to blossom. ‘Belonging’ explores the re-greening of the city: the role of community, the empowerment of people and the significance of children, family and neighbourhood in changing their urban environment. The streets gradually become places for safe children’s play, and community activity and places for nature and wonder. This entry was posted on October 10, 2008, 10:16 pm and is filed under english, HSC. You can follow any responses to this entry through RSS 2.0. You can leave a response, or trackback from your own site. Love the book; love her work generally. i am worried that the book will be overused and used badly a lot of the time, though. I discovered Jeannie Baker’s Belonging as part of a children’s exhibition at the NGA about Home. I think it would be a great related text if it’s done well (although I suppose that applies to all related texts). 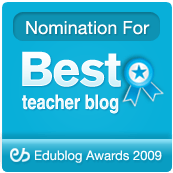 I hope you don’t mind, I’ve put a link to your blog on my blog because some of your posts could be very useful to some of my students.